Today's Darklight On is T.F. Walsh. Welcome, T.F.! I grew up listening to bedtime Romanian stories that could only be compared to the Brothers Grimm tales, and ever since then folklore and mythology has fascinated me. These influences have trickled into my stories, and in particular Cloaked in Fur, which is based in Transylvania—a place seeped in legends. Now, when it comes to love, I’m a sucker for stories about two people from different worlds falling madly in love and fighting against the odds to stay together. 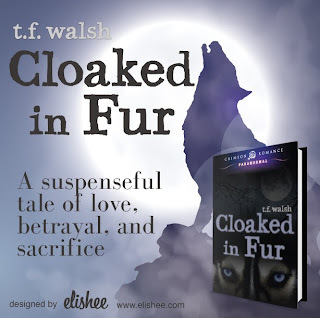 This is the story I wanted to tell in my debut release, Cloaked in Fur; showing how far someone was willing to go to hold onto true love. 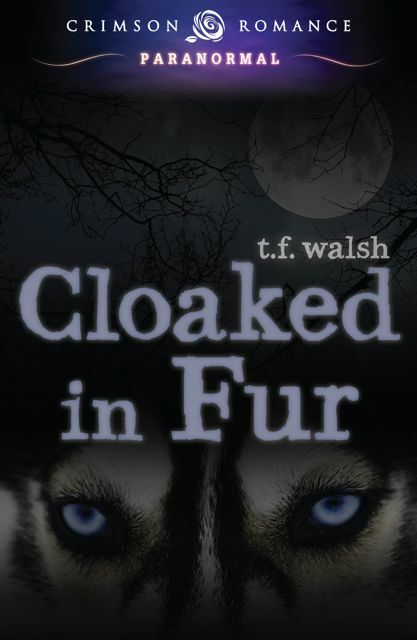 Tell us a little about Cloaked in Fur. As a moonwulf, Daciana never expected to fall in love with a human. Hell, she never imagined she’d abandon her pack, endanger everyone around her, and break the worst rule possible. But she did. Are you a plotter, pantser or somewhere in-between? I’m definitely a plotter. I spend a good week or so plotting out each story down to chapter scenes, along with character profiles, settings, you name it, I’ve plotted it out. But, when it comes to writing the scene, my panster side takes over and that’s when I find myself sometimes steering away from the plot. I love it when my story derails, because I uncover nuggets of plot gold to weave into my story. Do you have a favourite of your characters? It has to be Daciana. She believes in true love so strongly that despite everything in her life being ripped away, she never falters in fighting for what she wants. I love her determination. And each time she gets beaten down, she gets back up a bit stronger. Right now, I’m plotting book 2 of Cloaked in Fur. I’m also half way through a new young adult fantasy novel, which is made up of three parts and features six characters. It is set in a world filled with witches, steampunk monsters and magic, and at the heart of the story, there’s the struggle to find love. Writing the first draft is my favourite. I have a rough plan of where I want the story to go, and there are no restrictions on where my imagination will take me. Plus, this is the time when I start discovering who my characters really are. I get to meet them, feel their desires, and how far they’d go to achieve them. What can we expect from TF Walsh in the future? Many more stories in the Cloaked in Fur series, and my young adult story, Cursecaster. Do you have advice for emerging writers? 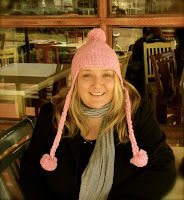 Join a writing group and find critique partners. Don’t be scared to share your written work because that’s the only way you’ll improve as a writer. Thanks, Tania, and congratulations on the release of Cloaked in Fur which will be available from August 5 onwards. Magic Thursday: We Are Now LIVE! !